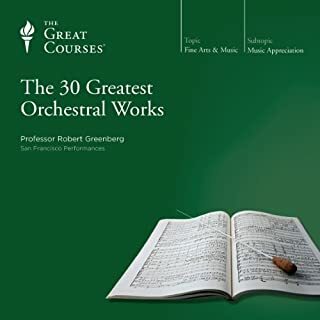 What did you love best about The 30 Greatest Orchestral Works? Greenberg is a great teacher. I loved the combination of biography, history and music analysis. I have enjoyed classical music for many years without knowing much about it. I found this course very interesting. The music in relation to the composer's life and personality, and historic context. His enthusiasm and knowledge come through his voice, very engaging. No! I savored it while cooking every evening for a few weeks. I look forward to listening to more of Greenberg and other Great Courses.